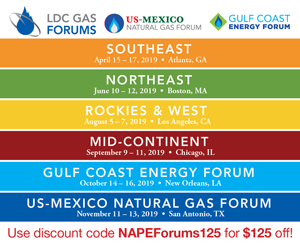 The LDC Gas Forums are comprised of 6 regional conferences held annually in Atlanta, Boston, Los Angles, Chicago, New Orleans and San Antonio. These are the premier events where the Natural Gas Industry meets and does business. The conferences are highly regarded by the industry for their excellent content and as the premier networking event for bringing together buyers and sellers in the natural gas marketplace.